The Jockey Has Lost His Horse! Can You Find It? And they're off! 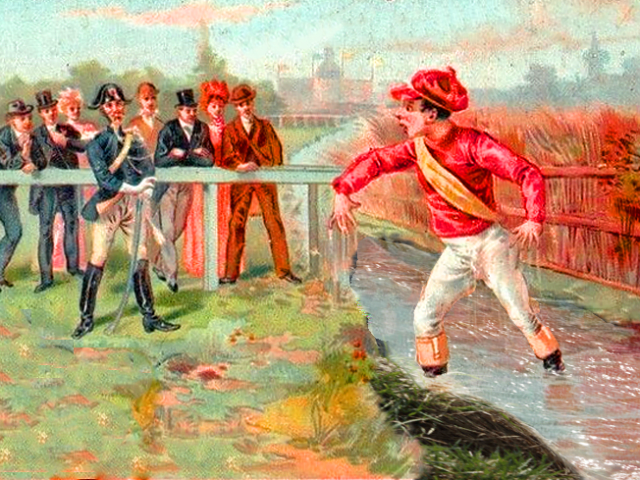 Wait where did that Jockey's horse go? HAVE YOU SEEN MY HORSE? I'M IN LAST PLACE! Can you find my horse? I told him if he lost again he was going to the glue factory! Now what? That horse is quite the vanishing artist! Maybe he can join the Circus? No wait. Shoot! No! Just the head is left to see. Perhaps he already went to the glue factory? At least he didn't stick around. 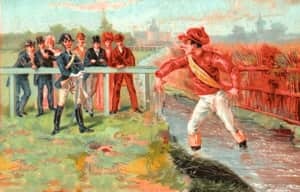 Can You Find The Jockey's Missing Horse Too? Let's play! 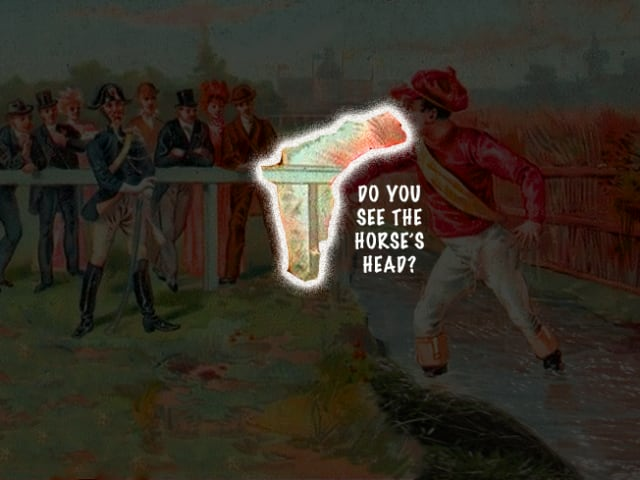 Did You Find The Jockey's Horse? I'm the horse and I hopped a flight to Madagascar! No Glue! Isn't that the horse's head from the Godfather Movie? Want Some Even More Fun?